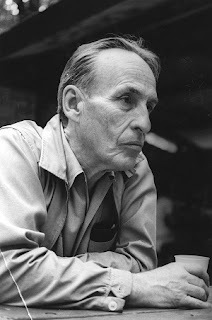 As I mentioned in my previous post, Norman Maclean, for most of his career, was not a fiction writer but a professor at the University of Chicago. He was a good one, too, winning the university's Quantrell Award for Teaching Excellence twice, once in the beginning of his career (1941), and once toward the end (1973). On the occasion of the second award, he delivered a speech on the art of teaching, "This Quarter I am Taking McKeon," which is collected in The Norman Maclean Reader. The McKeon of the title refers to Richard McKeon, the University of Chicago philosopher renowned for his demanding classes. McKeon, Mclean, R.S. Crane, and other Chicago scholars formed what was known as the "Chicago School" of critics who brought the structural insights of Aristotle to bear on literature. Maclean's classic essay on King Lear is a great example of this approach. In the Quantrell Award speech, Maclean, with trademark wit and Western toughness, offers three tentative definitions of teaching. Though from a different era than our own, they offer valuable insight into those intangibles that distinguish a life-changing class from a mediocre one. First, Maclean suggests that "a great teacher is a tough guy who cares deeply about something that is hard to understand." The "tough guy" line is classic Maclean, who was happy to play cowboy for the Chicago crowd because the persona was not altogether fabricated. In interviews late in life, after the publication of A River Runs Through It, he frequently referred to himself, in his childhood, as a "tough flower girl," a mama's boy who loved to romp in the Montana wilderness. 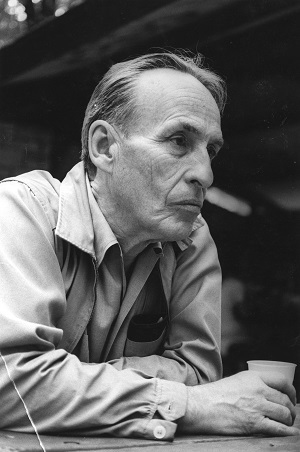 In his own writing, Maclean shows great respect for "tough" artists of various kinds: for his brother Paul, a master of the art of fly-fishing, for Bill Bell, an expert mule packer in the Forest Service in the days before machines were able to bring supplies into the deep wilderness, for Albert Michelson, a Nobel-winning scientist and expert billiards player, and for the smokejumpers who defied nature by jumping from a plane into burning timber. For Maclean, a teacher was no different, someone who not only knew an immense amount about a subject, but who brought a requisite seriousness and toughness to a difficult art. Reading Shakespeare, or lyric poetry (two of Maclean's specialties), in his eyes, were kinds of crafts that were best learned from a master. That master, ideally, is the teacher, who does not merely impart wisdom but models the processes of reading, writing, and thinking. Maclean offers a second definition, tongue-halfway-in-cheek, that uses vogue Freudian terms to describe teaching as "the art of enticing the Ego to seduce the Id into its services." Here he touches upon the importance of desire for education, which I've written about recently. Maclean, as I mentioned, was a good Aristotilean, so he had no problem distinguishing between higher and lower realms of the human spirit. If teachers are to succeed, he suggests, they must redirect their students' desire from lower realms to higher ones. Eros is not eliminated but reoriented towards a different kind of beauty. One can sense this in Maclean's presentation of the artists I mentioned above, where he aims, I would argue, at two things—revealing to his readers the art of his subject, but also doing so in a way that is beautiful itself, and thus draws the reader on two fronts. The teacher's role is the same here as the writer's: to point students toward beauty in a way that is itself beautiful. Finally, Maclean turns to his minister father, his own first teacher, who taught him how to write by demanding that he revise compositions by cutting their word counts in half, often repeatedly. Maclean suggests that his father, if asked, would have said that "teaching is the art of conveying the delight that comes from an act of the spirit without ever giving anyone the notion that the delight comes easy." In a sense, this definition is not so distant from the first one about being a "tough guy." The processes of reading, writing, and thinking well are not easy. They require hard work, patience, and the ability to delay gratification indefinitely. Many writers (including this one!) would say that, when it comes to composition, concomitant gratification never really arrives, that any delight we may find actually is found in the hard work itself. In other words, in this last definition, the good teacher, in not pretending that "delight comes easy," does not dissimulate but is honest. Delight does not come easy. If it did, it would not be as delightful. The teacher's job is to first experience that hard-earned delight, and then somehow convey it by drawing students, a little bit at a time, into the very difficulties of the process. Quite an art indeed.